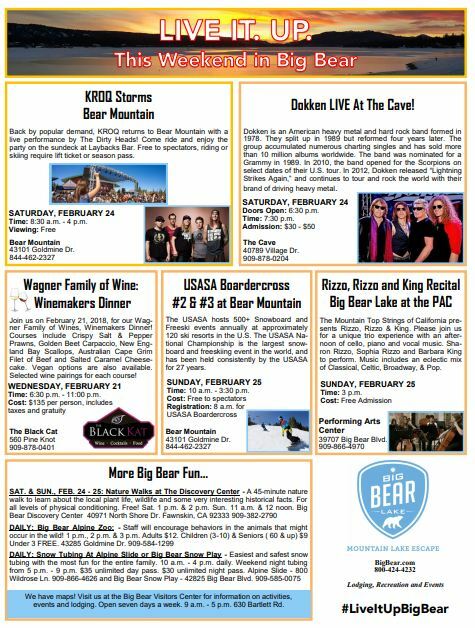 Music, snow tubing, a trip to the zoo? We did get snow Monday and looks like cold temps will be hanging around for a while so make sure you have chains/cables for your car and check the road conditions and weather. Have you checked out the Bald Eagles in Big Bear?